The dog is man’s best friend, so why not treat our little canine friends with the respect they deserve. Now we can do just that with a new piece of software that caters to every dog’s wishes, and that is to be pampered. Software itself doesn’t do much in this regard, but it does allow the groomers who work with animals, not just dogs, to better plan their busy grooming schedules. This is beneficial as you may know if you have ever taken a dog to be groomed because animals don’t like to wait around. 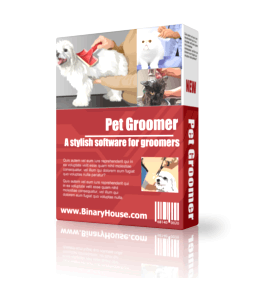 The Pet Groomer software is a fabulous scheduling and information management application that allows full control over the schedules that one might find within a pet grooming facility. The software can fully manage all aspects of the grooming process. let’s take a look at some of the interesting features of this software provides. First of all, this software features it’s own database which can be used to create a complete record of all pets and animals that are booked in for appointments with the groomers. 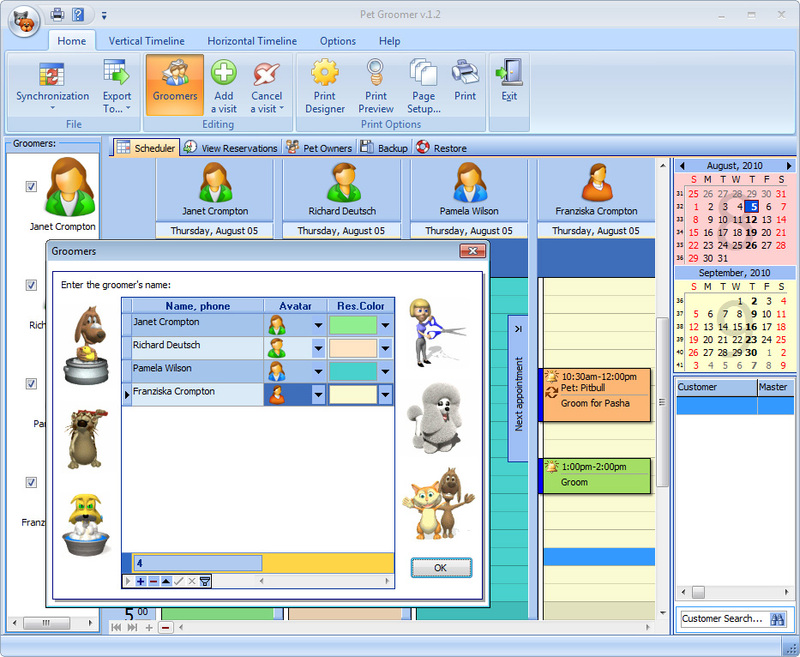 At a glance, the administrator or user of the software can do a quick search of the animal to be groomed, and then open multiple profiles for the staff who will be doing the grooming. This application also features a Date Navigator, enabling easy and fast switching between schedules for different groomers. There are multiple views available, for example, a user can switch between 12 hour and 24 hour time and date formats, view schedules either horizontally or vertically, and view information such as the pets owners, address, patient history and much more. When it comes to pricing, all of the accounting receivables can be set up in the database so that a full record of costs can be instantly displayed showing all the details of the animal patients. Order statistics also can be displayed and printed a report at the time of checkout. The Pet Groomer software also includes a full auto backup of all database items, so you don’t have to worry about losing any information. For analysis purposes, Pet Groomer also allows the user to export information in a variety of file formats, standard formats that can be then imported into any other application that the veterinarian or groomer may be using.